Home » We’re Looking for Board Members! We’re looking for you! 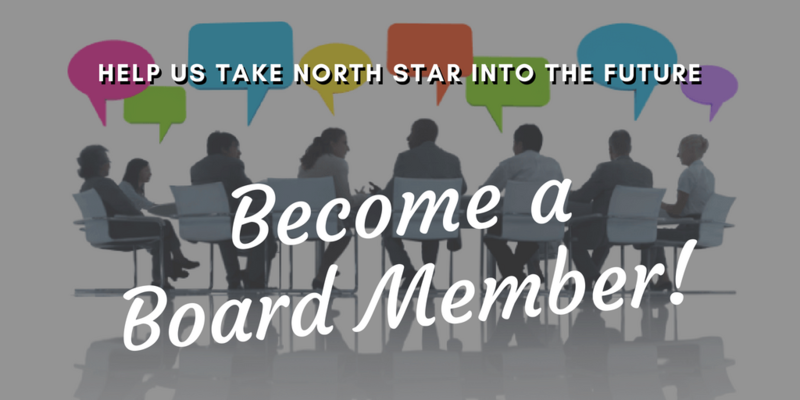 Being part of our Board of Directors is a fantastic way to give to your LGBTQ community and to help North Star plan and grow for the future. We have open slots we’re looking to fill with enthusiastic and committed individuals like you. Regardless if you’ve had experience on a board before, please apply. We’re looking to shape a diverse and active board. More information, including expectations of board members, are included on the first page of the application form. All applications for this round must be submitted by Monday October 1st, 2018. In early December, candidates will be informed of whether they are invited to join the Board. New board members will begin their term in January. Please note: At this time we are in need of a treasurer to help North Star with accounting and financial matters, so candidates for treasurer are encouraged to apply immediately and may be invited to join the board ahead of the usual January start date. Please also consider joining us for a Meet-the-Board Open House on August 8th, from 6 to 8pm. Chat with current board members about their experiences, and learn more. All community members, including folks who are not board applicants, are encouraged to come and socialize with our Board!